The Heirloom Signature Album comes complimentary with my Classic and Deluxe First Year Baby Milestone Packages. The album is a high quality, long lasting professionally printed album that will keep your memories safe for years to come. The album arrives to you wrapped in plastic in a nice storage box. This will protect it from dust and other environmental damage. The pages are thick, which will resist rips and tears. They are also coated in a special lustre coating that protects the pages from fingerprint oils and UV ray damage. 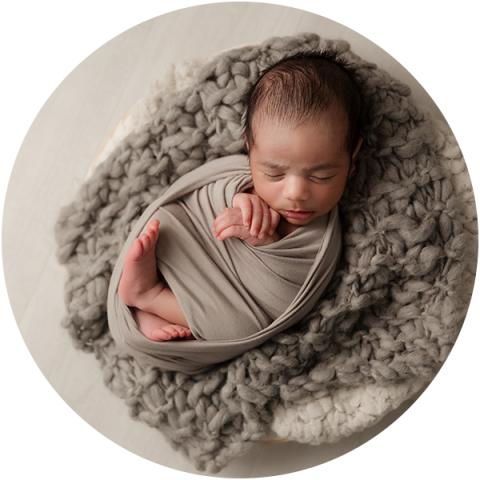 After you select the final images following your baby’s one year photo session, all the work is done for you and you’ll have something tangible to show your friends and family and pass down to your children. The Classic Baby Plan includes an 8×8 album and the Deluxe Plan will upgrade you to the 10×10. Each album is beautifully wrapped in your choice of a linen or leather wraparound cover in a selection of beautiful colors. It’s a fantastic bonus to my First Year Baby Plan. CONTACT ME today to get started on your baby’s First Year Baby Plan photography package.